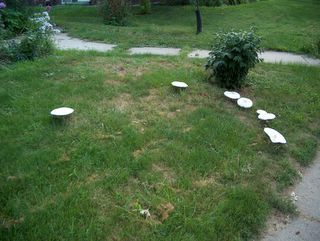 A Fairy Ring in my front yard. It would have been much bigger but I mowed the lawn last week. In doing so the west half of the ring was mowed under. It developed before the eastern half did, so it did have time to spore. Newer PostPets From Hell Etc..